Are your looking for NABARD Vacancy Notification 2018 ??? If yes then here is good news for you. National Bank of Agriculture and Rural Development has issued notification of 92 Assistant Manager in Grade A (RDBS) Vacancies. Applicants who are interested in NABARD Recruitment 2018 can fill online form here till the last date. Closing date for submit NABARD Assistant Manager Jobs online form is 02.04.2018. NABARD Bank is inviting online application form for filling up 92 Assistant Manger Vacancies. Online registration for NABARD Vacancy has been started from 13.03.2018. This is great job opportunity for all the candidates who are searching Bank Jobs. Appliers must check required Eligibility Criteria before submit online application form. Rest of the details about NABARD Asst Manager Jobs like Education, pay Scale & Selection Criteria you can check from below article. What is the Required Eligibility Criteria For NABARD Recruitment 2018 For Assistant Manager Jobs ? How I Check Required Application Fees, Pay Scale & Selection Criteria For NABARD Jobs 2018 ? AM I Eligible For NABARD Recruitment 2017 – 18 ? How I Check Required Qualification For NABARD Assistant Manager Recruitment 2017 ? What is the Selection Criteria & exam procedure for NABARD Assistant Manager Recruitment 2017 – 18 ? How I Apply for NABARD Recruitment 2016 for DA/ DA (H)Post ? Here we are describe NABARD Assistant Manager Vacancies. 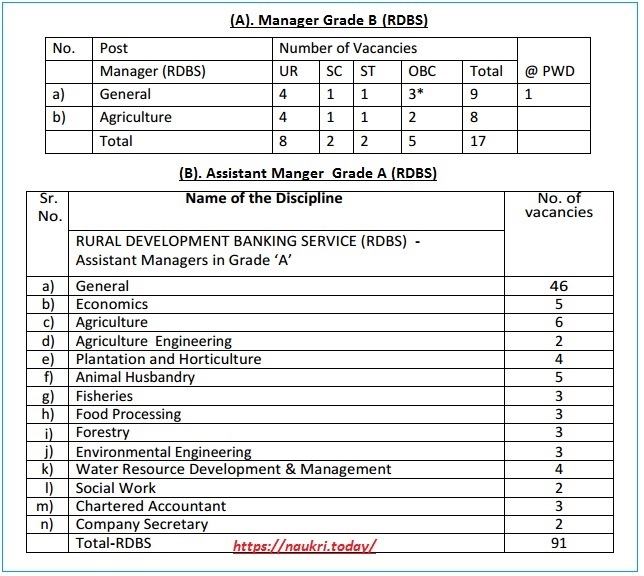 You can check Discipline wise RDBS (Rural Development Banking Service) Grade A Vacancies from here or from official NABARD Jobs Notification. If you are looking for Eligibility Criteria for NABARD Vacancy 2018 then read the below section. In this section our naukri.today team is providing full details about Education & Age Criteria for NABARD Bank Recruitment 2018. Candidates must have completed Grade Degree/ Bachelor’s Degree in respective trade from any recognized University for NABARD Jobs 2018. Check post wise required education Qualification for Assistant Manger Vacancies from official notification. Minimum age of the candidates for NABARD RDBS Vacancies must be 21 years & Upper age must be 30 years as on 01.03.2018. Relaxation in ager for NSBARD Jobs is applicable up to 05 years for SC/ST Category & 03 years for OBC category candidates. Candidates of SC/ST?PWD category must paid Rs. 150/- as application fee for NABARD Recruitment 2018. Other category candidates must paid Rs. 800/- for filling online form for NABARD Assistant Manager Vacancies. Fees must be deposited though online mode only. Selection of the candidates for NABARD Recruitment 2018 will based on written Examination & Interview. Candidates can check more details about Examination from official notification. 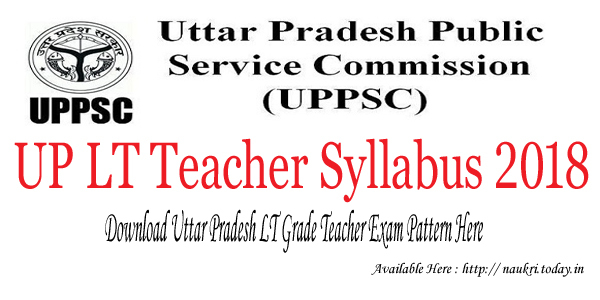 pattern of Pre Exam is mention here & for more details keep stay with this page. Applicants who are eligible & Interested in NABARD Vacancies can submit online form here till the closing Date. Read the given below steps which is helpful for filling online form NABARD Assistant Manger Jobs. First of all candidates log on to the official notification www.nabard.org. Now click on Career Section & Click on NABARD Jobs Notification link. Conclusion : – NABARD recruitment 2018 For 92 Assistant Manager Jobs . Candidates can fill online form for NABARD Vacancies till the last date 02.04.2018. For more details about National Bank of Agriculture and Rural Development RDBS Vacancies you can check by reading the above article. Are you Waiting for NABARD Recruitment 2017 – 18 Notification ?? ?, then here is a good news for you. National Bank For Agriculture and Rural Development has published notification for recruiting candidates on various officers Grade A & B vacancies. Departments has released total 153 Vacancy of Officer Grade (Manager & Asst Manager Post). Interested candidates in NABARD RDBS Recruitment 2017 can fill application form through online mode. Post wise closing date for submit online application form is mention below. National Bank For Agriculture and Rural Development is inviting online application for recruitment candidates on 117 NABARD Officer Vacancies. This is great opportunity for those candidates who are looking for Rural Development Bank Jobs. Submission of Online form for NABARD vacancy 2017 – 18 has been started from 16 June 2017. Other important details about NABARD Assistant Manger Recruitment like Age limit, Pay Scale etc. you can check from given below details. NABARD Grade A & B Notification Education Qualification : Candidates can check post wise Education qualification for NABARD RDBS Vacancy 2017 is shown below. More information about Qualification you can check from respective vacancy Notification. For Manager Vacancy : Bachelor’s degree in any stream with minimum 60% marks (55% For SC/ST/PWD) from any authorized University for NABARD Bank Manager Jobs 2017. For Assistant Manger Jobs : Candidates must have done Bachelor’s Degree with 50% marks (45% for SC/ST/PWD) or CA with Bachelor’s degree or 2 years full time PF Diploma in Management/ MBA from any recognized University for Asst Manager Jobs. Age limit For NABARD Grade A Notification 2017 : Minimum age of the candidates for NABARD Recruitment 2017 – 18 should be 21 years. Upper age for Manger Jobs should be 35 years & for Asst Manager Post must be 30 years as on 01.06.2017. Relaxation in age for NABARD Vacancy 2017 is applicable up to 03 years for PBC category & 05 years for SC/ST category. For manager Grade B Vacancy, General/ OBC category candidates must paid Rs. 900/- as application fee. For Assistant Manager Grade A (RDBS) Vacancy, candidates of General/OBC Category should paid Rs. 800/- for NABARD Jobs Online form. Asst Manager Grade A (RDBS) : Rs. 28150 – 1550 (4) – 34350 – 1750 (7) – 46600 – EB – 1750 (4) – 53600 – 2000 (1) – 55600/-. NABARD Grade B 2017 Notification Selection Criteria : Selection of the qualified candidates for NABARD Recruitment 2017 –18 will based on written Exam & Personal Interview. More Information regarding Examination you can check from given below details. According to Department Exam Scheme, First of all candidates call for preliminary examination. Which Contain 200 Question of total 200 Marks. There will be negative Marking in examination. Candidates should get minimum passing for qualifying the Pre examination. pattern of Pre examination is mention below. After that selected candidates call for Phase II Examination which is main examination. Final Selection will made on the basis of Interview. More information about Exam Syllabus & Nabard Admit Card you can check from official website or from here. Keep visit this page for future updates related to NABARD Recruitment 2017–18 Notification. Candidates log on to the official website www.nabard.org. Now Click on career Section & Find our NABARD Vacancy Notification link. Then read all the instruction properly from notification. 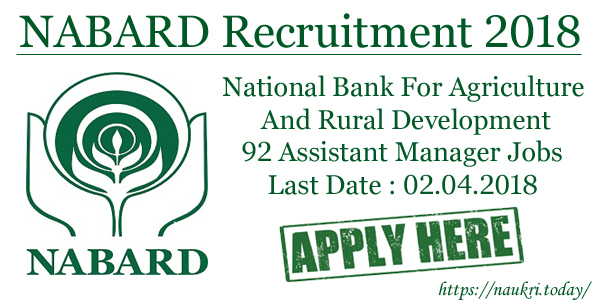 NABARD Recruitment 2016 : NABARD Bank has recently published recruitment notification for 85 Development Assistant/ Development Assistants (Hindi) Post. Those candidates who are looking for NABARD Bank Jobs should have a golden chance to apply application form through Online Mode. Interested application can fill NABARD Development Assistant Post Online Application form before the last date 20.09.2016. About NABARD Bank : National Bank of Agriculture & Rural Development (NABARD) has established in 1982. The headquarter of NABARD is located in Mumbai. The Bank has been assigned with matters concerning policy, planning and operations in the field of credit for agriculture and other economic activities in rural areas in India. NABARD Bank was set up with an initial capital of RS. 100 crore. Bank releases jobs opportunity for various vacancy like DA & Other. Check given below details for more information. NABARD DA Vacancy Education Qualification : Applicants should have done Bachelor’s Degree in any stream with minimum 50% Marks for NABARD Recruitment 2016. Candidates should also have knowledge of word processing on Computer. Age Limit for NABARD Bank Recruitment 2016 : Age of the Candidates for NABARD Assistant Vacancy 2016 should be in between 18 years to 35 years as on 31.07.2016. Age relaxation is applicable for 05 years for SC/ST Category & 03 years for OBC Category candidates. NABARD DA Hindi Recruitment Pay Scale : Candidates should be paid pay band Rs. 8040 – 410 – 9270 – 500 – 11270 – 550 – 13470 – 650 – 15420 – 720 – 16140 – 990 – 20100/- for Development Assistant Post in NABARD. The starting basis pay for the selected candidates is RS. 8,860/- per month for NABARD Development Assistant (Hindi) Vacancy 2016. Application Fee for Development Assistant In NABARD : SC/ST/PWD/EXS candidates should be paid Rs. 50/- for NABARD Vacancy Application form. All Other category candidates should be paid Rs. 450/- for Apply Online for NABARD Recruitment 2016. The Procedure of selection for Development Assistant Post in NABARD will be in two phases. The Both will Online written Examination. The final selection of the candidates will be basis on merit list which will made on Marks obtain in Main Exam. The Admit card for NABARD Exam will be published on official website. Of future update keep in touch with this page. All the information regarding Exam, Admit card will be updated time to time. Applicants can visit to the official website. After that click on official NABARD Notification link & Read it properly. Make all the information correctly in online form. Upload passport size photo & Signature in application form. NABARD Recruitment 2016 for 85 Development Assistant & Development Assistant (Hindi) Post. Apply online for NABARD DA Vacancy 2016 on or before the last date 20.09.2016.